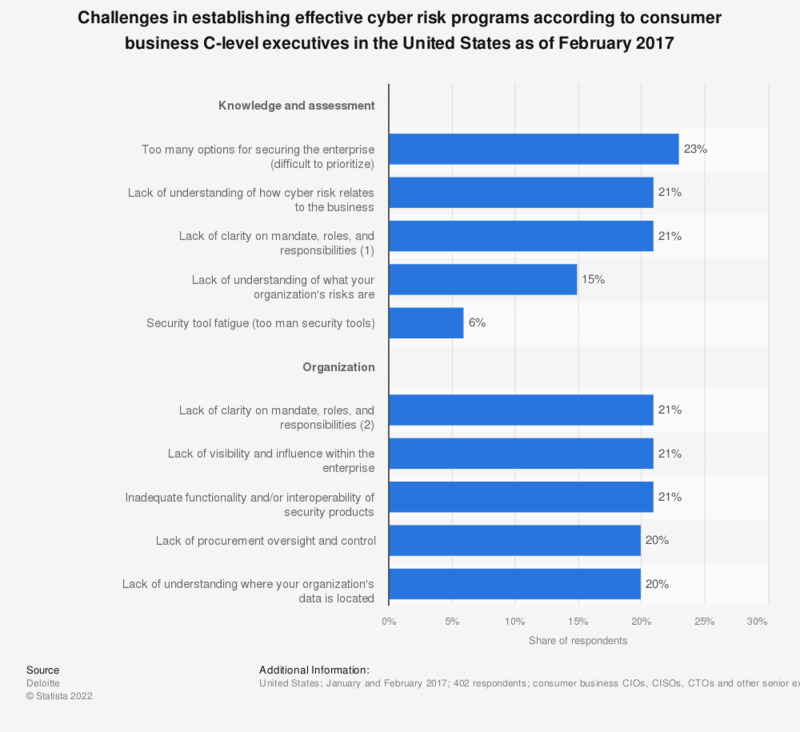 This statistic presents a ranking of the biggest challenges in establishing effective cyber risk programs according to consumer business C-level executives in the United States. During the February 2017 survey period, 20 percent of respondents stated that their lack of procurement oversight and control hampered their cyber security effectiveness. Q25. What are the most important challenges your organization faces to establish/maintain an effective cybersecurity program? Who was this (most disruptive) breach or attack reported to? What, if anything, have you done since this (most disruptive) breach or attack to prevent or protect your organisation from further breaches like this? What type of incident do you consider as your worst breach this year? What steps have you taken to address the security risks associated with staff using smartphones or tablets? Which standards do you ensure your suppliers comply with?